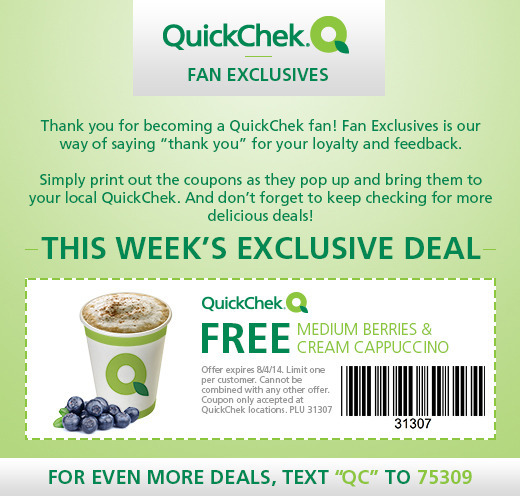 QuickChek wants to thank their fans by offering a coupon for a free medium berries and cream cappuccino! Simply print out the coupon and bring it into a QuickChek near you. Hurry, this offer expires on August 4, 2014.